IVLA is proud to announce a $1,000 college scholarship opportunity to students accepted to an accredited U.S. college or trade school. Investing in our future means investing in the higher education of our youth! We at International Virtual Learning Academy strongly believe in higher education and advancing students’ academic achievements. As educators, we know it is essential to give students the tools they need to succeed in college and beyond. This includes a solid K-12 education as well as financial assistance to help cover the costs of a higher education. 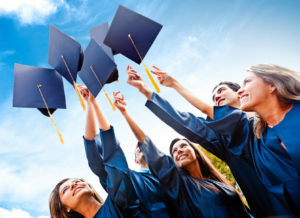 To apply for the college scholarship, an applicant just needs to fill out a short form and the essay at https://internationalvla.com/college-scholarship-from-ivla/. We will accept applications until April 30, 2018, selecting a winner in May of 2019. Share this opportunity with anyone who considers their academic success a priority. We believe our scholarship should be offered to a broad base of students because pursuing an education should not be restricted to a limited number of individuals. Everyone deserves an education, and we hope our scholarship can make the difference in the life of a student in 2019. Best of luck to all our 2019 applicants!